A new way of international exchange dispatched from Kansai! Participation in the business aimed at foreign visitors, or "inbound business", is emerging as an important theme for all enterprises that intend on enlarging their businesses. Furthermore, with the Trans-Pacific Partnership (TPP) signed, there is a pressing need to draw on concrete strategies for business exchange with burgeoning regions in Southeast Asia. 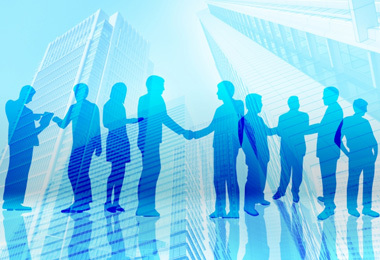 Without doubt, the development of businesses and exchange between global human resources that forsee 5, 10 years in the future will become a huge task to accomplish. However, one of the biggest problems that concerns the bearers of this task, international students studying in Japan, is the issue of securing employment. Despite wishing to work in Japan, often times students are unable to find employment, let alone finding part-time work while in school, resulting in many capable people having to return to their countries. With Osaka at the center, Kansai has developed a unique "business culture", differentiating itself from other regions with the "power of individuality". To internationally expand Osaka's next stage of business, we are embarking on the establishment of the "Kansai Foreign Student International Exchange Support Association" - a collective representation of "strengths of individuality" - and have commenced activities. With the "promotion of internationalization by unification of Osaka's strengths" and the "societal participation of skillful foreigners through international exchange" as themes, through industry-university cooperation, we hope to secure the foundations of international exchange with Osaka as the front-runner by expanding areas where foreign exchange students in Osaka can show their talent. Many enterprises, organizations, as well as administrations are parcitipating in this association, and we will be holding a variety of programs. Through promoting this program, we wish to improve the environment surrounding international students, providing a better place for them to interact with Japanese culture. Promoting international students' labor participation in local communities! We are determined to coordinate between companies and international students, the expanding need to hire global human resources, as well as their needs to seek employment, providing opportunities for capable international talent to achieve social participation and labor contribution. We have received massive support in terms of human resource registration from universities in Kansai, educational institutions, and various consulates for this project, and aim to be a human resource supply organization with 200 to 300 registrees regularly. 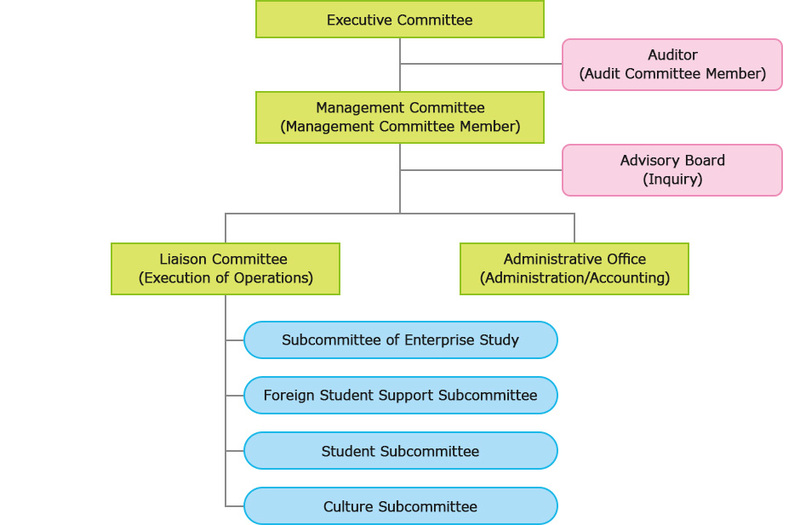 Initially, the administrative headquarters will be located within the liaison committee (the administrative office) for executing initial activities. We are looking to establish an "International Human Resource Support Center (tentative)", with the vision of becoming an NPO and operating independently in the near future.